Keep track of all of your favorite TV Shows: which episode you're up to and what's coming out in the future. All of this is in the main listing, along with a cool badge 1 to show you how many episodes you have to catch up on for each TV Show. Get watching! Scroll through the Seasons to trip down memory lane or peer into the future. There's more than 35,000 tv shows to search through courtesy of www.thetvdb.com. Simply touch to open the curtains on episodes as you watch them. Watch TV Shows from Sweden? the UK? Australia? No problem at all. 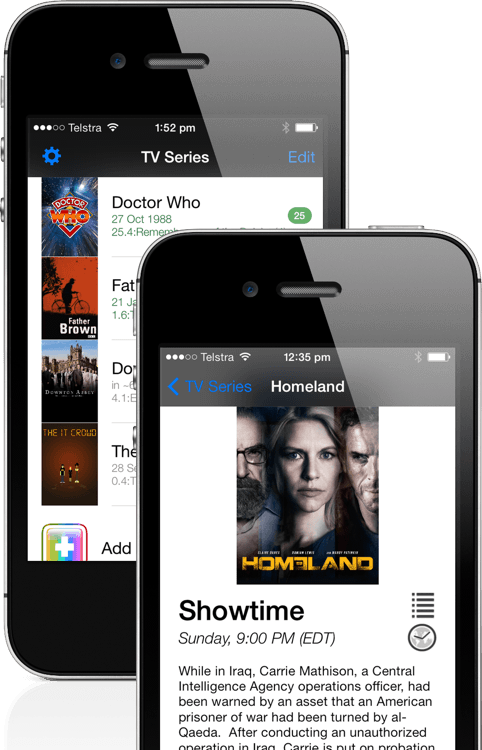 TV Series Tracker allows you to set a timezone for each TV Show, so you know exactly when your shows are airing - in your local timezone. The shows you are most behind on are shown first: 4 means there are four aired episodes that you have not yet watched. The shows that you are up-to-date on are listed in order of next air date, so you know what's coming out next. There's even a search bar at the top in case you have heaps of shows. All of the background information is gratefully provided by the awesome thetvdb.com. If you are passionate about the information provided, we encourage you to join up and contribute. 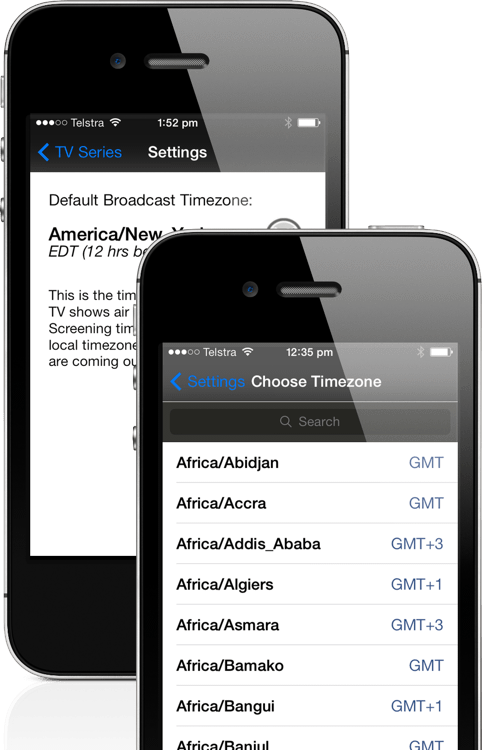 Timezones can be set for each TV show. 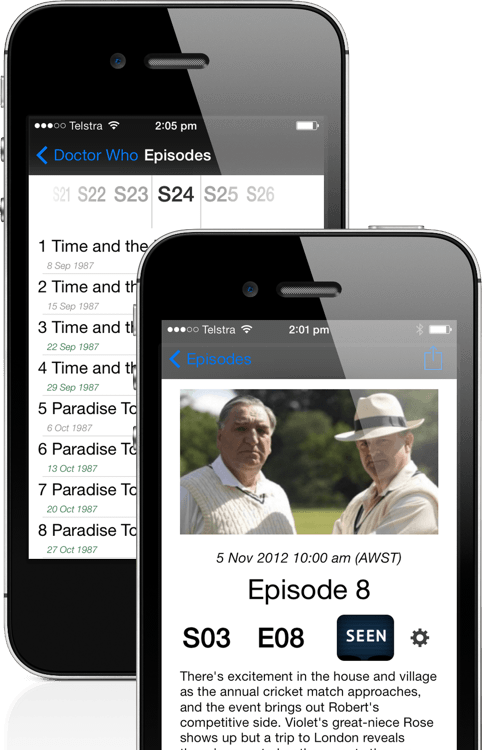 Newly added shows use the default, but you can change the timezone of a particular show by pressing the clock icon in the show's landing page. You can change the default timezone by pressing the gear icon on the main screen to get to the timezone settings.